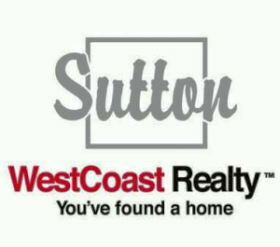 The perfect blend of Indian style and Canadian drive, Jinder brings her charisma, intellect and wit as realtor to Sutton Group - West coast Realty. Jinder specializes in high-end residential real estate and investment properties in Surrey, Delta, Langley, White Rock Area and the greater Vancouver region. Proving that exceptional service and attention to each and every client is the recipe to success, Jinder’s no-nonsense approach to closing deals, coupled with her extensive network of high-net-worth international and domestic clients, Jinder's Real Estate listings get sold quickly. Her sold and active listings includes some of the city’s most impressive properties with a wide range of listings in the $1-10 million range. Building on this incredible success, Jinder has expanded her listing inventory in 2017 to include listings from abbotsford to Chilliwack and Mission. 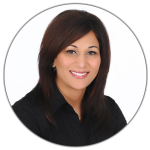 JINDER JHAJJ - Excellent Realtor with Outstanding Results! jinder-jhajj-round-photoI am committed to providing my clients with professional services based on my more than 10 years real estate experience, knowledge and skills. I bring many skills to the real estate profession including an uncompromising attention to detail and a strong ability to negotiate on behalf of my clients. Importantly, I understand how to listen to my clients’ needs and provide the service and value they expect. Good communication is the cornerstone of any successful relationship. You can count on me to provide you with the information you need on a schedule and in a manner that suits you best, and you will always have 24x7 access to a wealth of online resources through your private Web page. If need be, you can get in touch with me day or night via e-mail, phone or SMS.